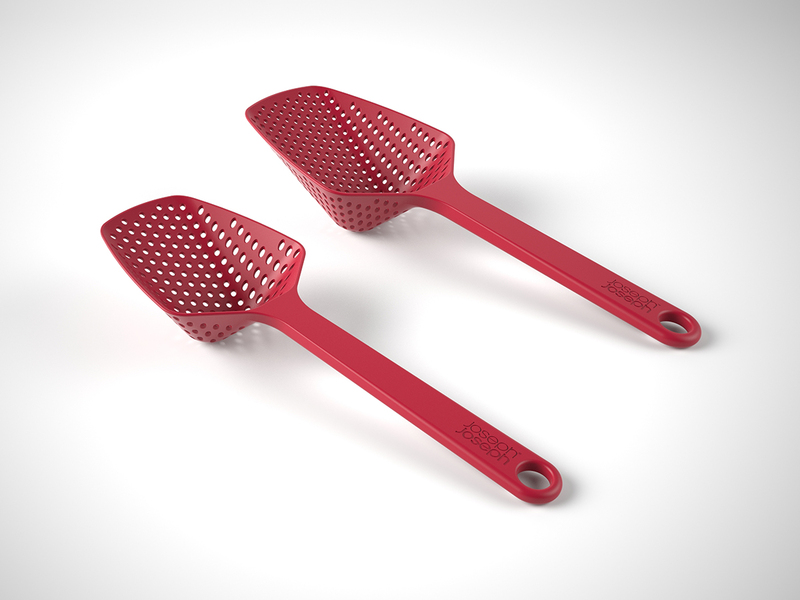 This recently released kitchen utensil design for Joseph Joseph, allows you to quickly and efficiently scoop and drain food straight from the pan or oven dish. Perfect for deep-frying, it eliminates the need to drain hot liquids from heavy pans before removing food. It’s also versatile enough to use as an everyday serving utensil.